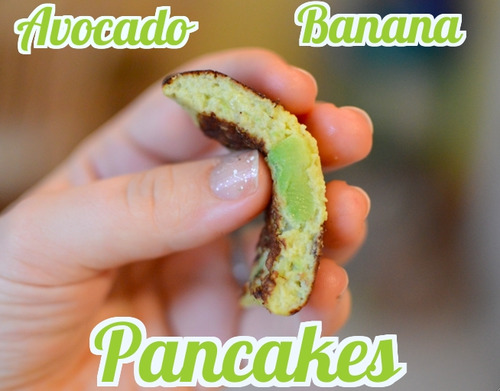 When I was trying to stay fit for my wedding, I used to make these pancake alternatives all the time. I have to say, this variation on the little banana pancakes, is delicious. 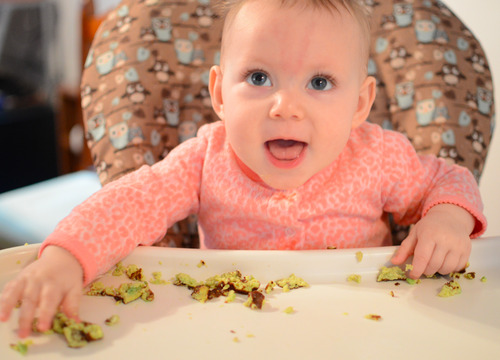 I got the inspiration half from Paleo Mom, and half from a Baby Led Weaning group I’m apart of on Facebook. 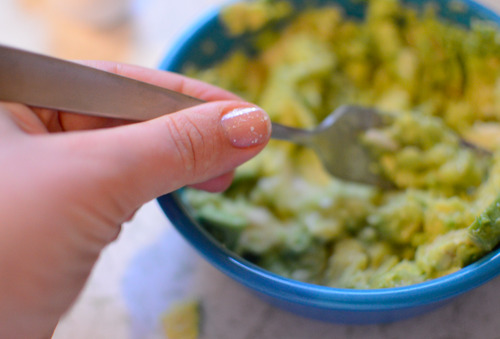 Sugar Plum finds bananas to be a little strong in taste, so I thought adding the buttery avocado would be a nice balance. They were SO good! I made a couple big pancakes for myself, and then a few little ones for my Little One. ***I only use the rice cereal to get in some extra iron for Sugar Plum. If you’re making these for yourself and not for a babe, obviously you don’t need rice cereal. 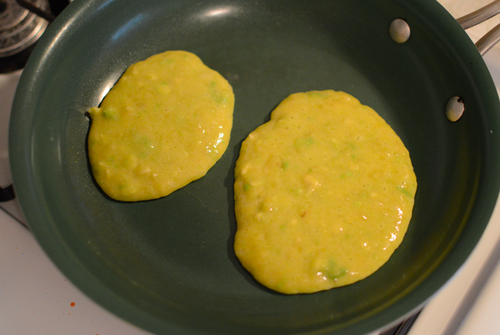 Mash your banana and avocado together first, then beat in the 2 eggs. Heat up a skillet [like this awesome organic, ceramic one] and start flippin some pancakes! They were a hit with her!